Hair Club Elk Grove Village is located in a ten-story glass and stone building. There are two entrances onto Northwest Point Blvd. from Arlington Heights Road. Do not turn into the first entrance (North Entrance). Proceed to the traffic light and make a left (South Entrance). Building 25 will be on the Southwest corner of Arlington Heights Road and Northwest Point Blvd. Hair Club is located on the 5th floor, suite 500. We have been using Hair Club for a bit longer than a year for my son who has alopecia and they are all awesome at this center. They have been very kind and supportive about his hair loss and helpful with their style ideas. All the stylists we have used are very good. We would recommend this center for anyone looking for help with their hair. I love Cindy! She is awesome!! I love my hair!! I have been going to HCM 5 years. The hair appears realistic and is not too difficult to take care of. Irena is wonderful. Dierdre has been doing my hair now for over 10 years and she is the best; very personable, polite, and was never disappointed. I always go home happy knowing my hair is the best it can be. Everything is great with HCM. Convenience of location is great. The stylists at this location are friendly and knowledgable. The only problem is that the hair is sometimes not consistent, but that is understandable. Been a client since 1992 and no one can tell I have a system. The team in Elk Grove has always been professional and willing to work with me when I have to change an appointment. I have a normal stylist but if she is not available, the stand in has done just as good a job. Yolando is always super friendly and helpful in the most way possible, her and the rest of the staff make it enjoyable to come every time, definitely recommend it! Everyone is very professional and friendly. Yolanda is awesome and always does an excellent job. Staff here is excellent. Girls up front, shampoo staff, and stylist all really care for the clients here. I can see myself being a client for years to come. Product giveaways are also a nice bonus. I felt wonderful from the first visit. Feel more confident and overall better about myself. Great staff. My hair looks very natural so I am very pleased with it. My stylist for over 10 years,Irena, consistently does an excellent job at cutting in the systems and styling them to my satisfaction. I highly endorse the HAIR CLUB ! The team is so helpful. I love my stylist Irene. I also want to give major kudos to Diane. My stylist Dierdre is excellent and the rest of the staff in Elk Grove is always very friendly and helpful. I have been a Hair Club member since 1996, and I have been a customer at the Elk Grove Village Center for all that time but about four visits. Needless to say, it's like home to me. Though there is a HC Cebter closer to my home, I happily have traveled the extra miles each month for almost 20 years because of the personal, attentive, extra service I have received from the staff my hair technicians. I had the same technician from practically my first visit, and I followed her because of the high-quality service and ultimately, the friendship, I received and we established. Thinking back, I probably saw Diane more -- once a month for the last 19 years -- than I have some of my closest friends. And we went though many systems, many hair styles, and thr sharing of many life experiences along the way. Sadly, due to her health concerns, I had to change hair technicians during the last year. Though I was a little hesitant at first because of my long-time association with Diane,, I have now worked with Yolanda for more than year, and I am happy to say that the level of service I was used to for so long was maintained and even exceeded. I may have thought about going to the Center closer to my home initially after Diane, but I decided to give Yolanda a chance, and I am so happy I did. I immediately was put at ease, and Yolanda has serviced all of my needs -- even the difficult tasks of changing brown hair to blonde!! -- with a great attitude and professionalism. And we too have become fast monthly friends. 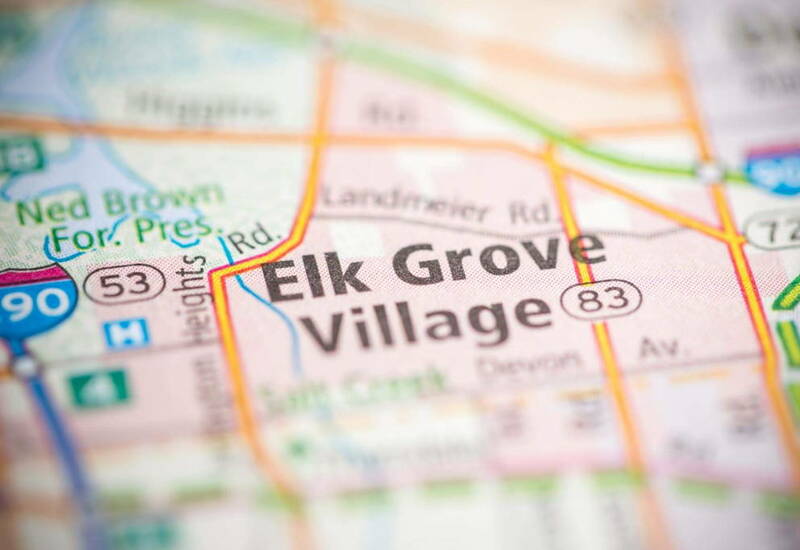 The entire staff at Elk Grove have created a welcoming, concerned, customer-service oriented, and most of all, friendly atmosphere, which makes going to HC a satisfying monthly experience. I have been extremely pleased with my systems, and the look and self-confidence they have given me. It may sound vain, but I don't care -- I think I'm my best with hair, and my HC system is the best hair I can buy. I am pleased to have made the decision to go to HC, and the Elk Grove Center represents the entire company well with its overall customer- service and friendly atmosphere. Hair, hair!! Everything is wonderful Ive been a member for 18 years everyone here is top notch professional. Been a client for 10 years. Made such a difference in my life and style. It's the solution to restore my confidence and make me feel like myself again. Very professional. Very happy with the center. I think everyone here is really terrific. I came from another center where the mood was horrible and the manager was like a Nazi. Sandy has been great to work with and is always a pleasure to chat with. The stylists and the front desk staff have always been wonderful. Keep up the good work! I have been a client here for 16 years. The service and product have been of a high quality! The stylist are very friendly and do a good job providing services. Dawn is an excellent stylist who cares about her clients. Barb is an amazing stylist and very responsive to my requests--great service! Hair stylist much more friendlier. Give Dawn a thumbs up. No -me okay at front desk. Excellent service by Yolanda cutting hair and Cat in assisting with program options. Noemy is great at making appointments. Yolanda is an amazing stylist always professional and up to date on her styles. Kat does a great job of assisting with issues and excellent at customer relationship skills. Definitely recommend this place if you want to change your life. What have you got to lose? I Have Been With HCM For Many Years.All The Staff Are Wonderful And Lorie Is My Stylist And She Is The Best.They All Do Good Work. Wish Them All The Very Best. excellent service!!! wonderful staff!!! feel great about myself!!! Love the easy going and understanding staff at the Elk Grove facility. I've been a proud member now for nearly 15 years! Excellent service each and every time! Love Diane and Barbara -stylist!!!! Great front desk service and great customer care. Been a member for 2 years! Awesome! have been a client since 1991 and have been extremely satisfied with the services that HCM offers. My hair has changed the way I look and feel about myself. Barbara does an excellent job — I always get compliments about how good my hair looks. I highly recommend HCM. I have no regrets about becoming a member. I love Hair Club!!!!! I've been a member for 2 years and only wish I made the decision sooner! The entire staff is great and my stylist Barbara is a gem!!!!! I would recommend all to choose Hair Club!!!! You'll be glad you did!!! I give them 5 stars!!!! Been a hair club member for more than 2 years. Excellent customer service, great service, and my new look as changed my self esteem. I look and feel younger and my stylist Barbara is awesome! I would encourage all to join. It's worth every penny! I wish I had come sooner! Jenny S May 2, 2013 I have been a member of HCW for about 10 years and I must say Having Irena as my stylest is great. She is the best. Always willing to go the extra mile for me. Kat is always willing to help me with any question or concerns I may have. She's always available and friendly. she's just awesome!! I love coming here and have Barb work on my hair. She always goes above and beyond. I've been coming to HCW for more than 2 years! I absolutely love my hair and feel like a new person! I have regained my confidence, self esteem and love my stylist Barbara! Steve and the entire staff are great! I wish I had made the decision to come to Hair Club years ago! I am a true testament that this place and service is awesome! Make the decision to join... you'll be so glad you did! Greeat serive, staff and product. Been client over 21 year. Always looking forward to come here for great service. I have been a member of HCW for about 10 years and I must say Having Barb as my stylest is great. She is the best. Always willing to go the extra mile for me. I have been a client for 15 years and my life would be different without being a member. Every time I go to Manchester NH for a visit, I get great service and smiling faces. I came over to Elk Grove for my hair add. Everyone was vey friendly. My hair add was done really well and it loked natural and Barbara my stylist did a great job and she wa very friendly and welcoming! Would definitely come here again! When i first walked in i was greeted by there very friendly staff and they were very considerate and understanding of my feelings. I had very low self estem and now i feel great about my self i am confident and am no longer embarrased of my baldness. i have worked with Barb, Diane and Steve they are the best here i am very glad i found HCMW and that i am treated like royalty! Unbelievable product, great service and amazing staff. They are will to accomodate and schedule service any time. I always look forwad to go for serivce. I have been going to HCM in Manchester, NH for well over ten years now. It is over a 2 hour commute for me and I know there are other facilities much closer to my house, but quite honestly I go there because of the team they have. Stephanie has an amazing personality and the cut is always perfect! From the time I am greeted with a hello and smile from Kimber to the time I leave, I always see these women smiling, laughing, and having fun with the clients. I look forward to every visit knowing that the experience will be first class! Cindy is terrific. I always leave the center feeling a little bit better than when I got there. diedre- terrific , skilled and wonderful to work with over last 18 years or so.... the experience from all people is very good , from steve to the receptionists. i feel and look younger with the hcm product.... only complaints are --- the location ( i wish it were closer and the price could be lower---oh well ! Tampa Hair Club does a great job and it is a joy to work with Melanie. Yolanda always goes out of her way to make sure that I look my best. Great service as always! HCM staff is always professional and friendly. always happy with my service! Love the Elk Grove team. Always friendly and cordial. the hair club is giving me new look.And Barb is excellent. The Staff here is fantastic. they are always friendly and very curtious. Yolanda is wonderful!!! always on time!! As always, the quality styling service provided by IRENA is outstanding. Great Staff, always helpful. Highly recommended! I always enjoy her (Barb) haircuts and styles. Barb is a great stylist. I nejoy her company when I am here ans she is very accomodating. They take care of me. Barb is great! Everyone at the center is extremely helpful. Yolanda is very helpful and accomodating. Katie provides excellent customer service and Steve is a superb manager. Excellent service from a great staff. HCM in Elk Grove is a great expirience,that will leave you happy,and no more hair loss worries!HIghly Recomended! I have been a client since 2008 and have been extremely satisfied with the services that HCM offers. My hair has changed the way I look and feel about myself. Barbara does an excellent job -- I always get compliments about how good my hair looks. I highly recommend HCM. I have no regrets about becoming a member. Good conversation and good service. Always a good haircut. Barb does a great job of cutting and styling my hair.She really knows what she's doing. I am not personally a client of Hair Club. My sister starting losing her hair a few years ago due to antibiotics she had been taking and ultimately chemotherapy. Hair Club was able to restore her self confidence and her spirit which is something I and my family are extremely grateful for. -Christopher G.